Our Team have completed their Emergency First Aid at Work Training with RTG First Aid Ltd. The course was held at the Dance Studio (Forfar) Ltd. 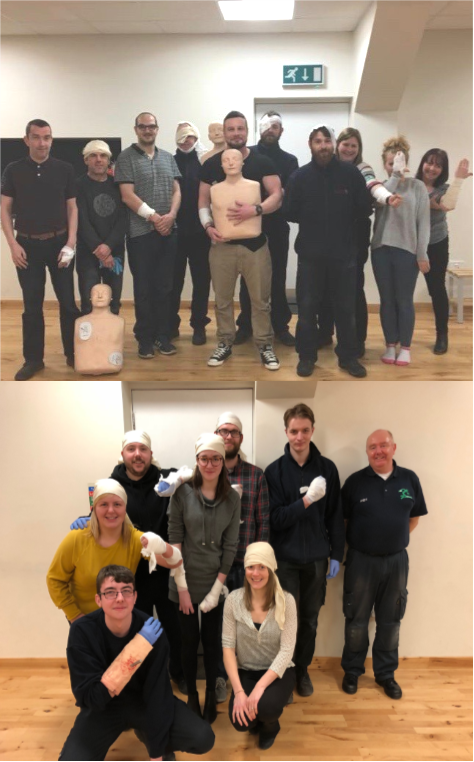 The Forfar Removals team completed the course to gain the skills and knowledge to provide Emergency First Aid to members of their workforce and the public. RTG First Aid instructors, Sarah and Andy, provided an excellent service to the members of the Forfar Removals team along with The Dance Studio (Forfar) Ltd team.